Visiting Spain is a new addition to my bucket list. I recently learned more about the rich history and cultural significance of the country when I worked with a woman whose family is from Spain. I’ll admit that it was over a margarita and food that I fell in love with Spain, and my trip to Spain will be a culinary exploration. San Sebastián, Spain, is the second largest city in Spain. It is a food mecca. It boasts more Michelin Stars per capita than any other place in the world. For those of you who don’t know, winning a Michelin Star is like winning an Oscar in the culinary world. San Sebastián is a beach town, and the restaurants use the local seafood to create the popular tapas style of dining. Because San Sebastián’s people are social and love tourists, the tapas service, which includes small plates meant for sharing, encourages people to enjoy their company as well as the food. I love the cities that embrace the old traditions along with the new and modern. Calvia, Spain, has the best of both worlds. It is a beach town as well, but unlike San Sebastián, it has a thriving business district. Calvia is the melting pot of Spain. Its residents come from all over Spain and the world. Mallorca cuisine is popular in this region of Spain. Mallorca consist of the finest-quality meats and fish, all locally sourced. With its generous portions of garlic and olive oil, the Italian influences are evident in Mallorca cuisine. Part of the Canary Islands, Mogan, Spain, is an upscale but relaxed and laid-back region of Spain. It is a popular holiday spot for Spaniards and Europeans. Its culinary focus is all over the map to accommodate the many visitors from all over world. Mogan is also a thriving fishing village. It supplies seafood for the entire island and for other areas of Spain as well. I’m up for anything that comes from the sea, and I can’t wait to try the oceanic fare the city has to offer. Arona, Spain, is another island in the Canary Islands. It’s a culinary anomaly. It’s known for its rustic, family-style cuisine. With many of its inhabitants originating from India and East Asia, Arona has some of the best authentic Indian food outside of Mumbai. Traditional Indian dishes often incorporate seafood, creating amazing food that offers the best of both cultures. Ibiza, Spain, is an island off the coast of Spain in the Mediterranean Sea. It boasts seafood dishes that are traditional to the island, but the dishes have spread across all of Spain. Fish hot pot is a hearty, rustic meal that includes fish, seafood, and vegetables, all cooked at the table in a thick stock and eaten right from the pot. Seafood paella is an Ibiza staple featuring rice in a tomato-based sauce with fresh shrimp and shellfish. I also want to try a dessert called Flao that has many versions all over Spain but originated in Ibiza. It is a circular-shaped dough or bread filled with sheep or goat cottage cheese and anise, served hot. This post was posted by thehipmunk on Hipmunk’s Tailwind blog on September 30, 2015. Looking for the best som tam and pad thai the street stalls of Thailand have to offer? Ask a local. 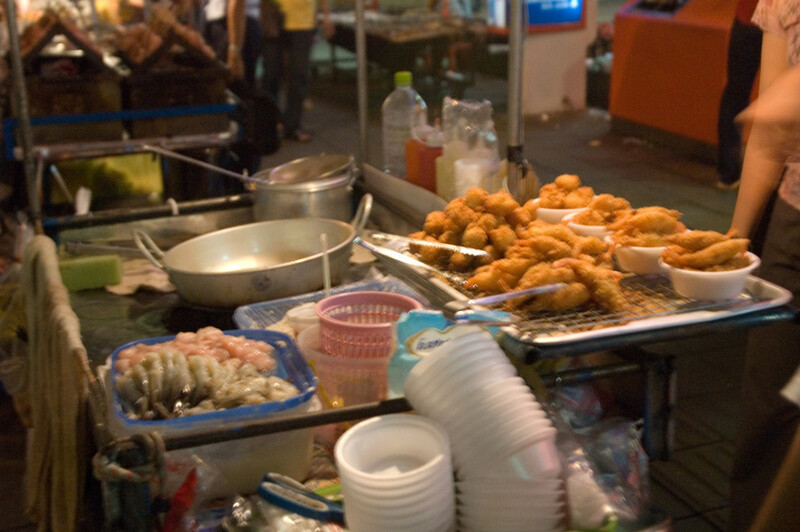 Poll the front desk staff at your hotel in Bangkok for their favorite place to munch on street food. Let them know you’re not looking for an official recommendation so much as a friendly one, for the places where you might run into them snacking on a night off. Establishments frequented by locals are likely to be appetizing, affordable and authentic. They’re also time-tested and likely to be safe, helping you keep stomach bugs at bay. It’s time to use your powers of deduction, Mr. Holmes. Scope out clues to find the tastiest, safest culinary delights. Is the place bustling with locals, or empty and quiet? Do the customers include women and children, or does it look like a boy’s club? Steer towards busy family establishments for the best chances at a clean, wholesome delicious meal. Elementary, my dear Watson. Delectably elementary. At Casa com Varanda in Rio de Janeiro, host Delvina serves up breakfast every morning. Doesn’t that sound better than anything that might come out of a faceless restaurant kitchen? After all, nothing is more nourishing than a home-cooked meal. Staying in a small, independent accommodation, such as a bed and breakfast, is a great opportunity to try authentically prepared, home-cooked food. Because these meals are generally prepared in small batches with love and care, they’ll be memorable for only the right reasons. No matter how careful you are, there’s no 100% proven method to prevent an upset stomach. Sometimes even the most upscale restaurants can leave you queasy the next morning. There’s freedom in this realization, however. If even the safest-seeming foods have the potential for tummy turmoil, there’s no reason not to go bold. Boarding a plane for Argentina? Throw some probiotics and anti-diarrheal medicines in your bag and book a stellar Buenos Aires hotel where you’ll be comfortable no matter what happens. After that, there’s no stopping you. Street smart and prepared for anything, you’re ready to take on the world in all its flavorful goodness. From tamales in Cancun to Çiğ köfte in Istanbul, there’s a whole world of tastes to discover. Let the eating adventures begin! I’ve visited the Midwest, mostly on football trips, and eaten at some iconic places. Chicago, Cleveland, and Detroit have some great culinary traditions. While I’ve touched on the highlights, I always thought it would be fun to escape the big cities and take a tour of some of the lesser visited, less touristy hot food spots. If you’re looking for home-style, home cooking Akron, Ohio diner spots, you can find them in Akron, Ohio. Driving through town, you’ll see a diner on every street corner. You can find elevated food choices, too. I found Crave. Try the Thai curry lobster or the cinnamon sage waffles with buttermilk fried chicken. My mouth is watering just thinking about it. The food is pretty, too. Like Top Chef assembled with food tweezers pretty. If you are a fan of Top Chef, you will get that reference. Crave would feel right at home in Los Angeles or New York City, but the fact that it’s in Akron, Ohio makes it even more of a cool destination dining experience. When I think of Omaha, Nebraska, I think steak and potatoes. They have their share of steakhouses, but their culinary landscape is quite diverse. One area of Omaha is a must stop for foodies. 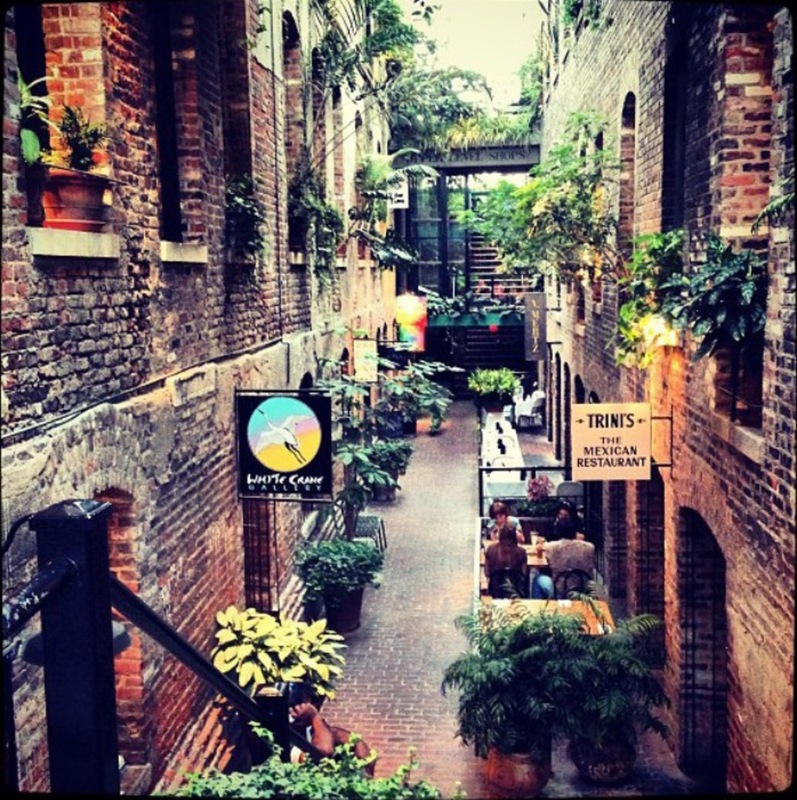 Old Market is a historically inspired art and entertainment district in Omaha. The neighborhood has the feel of a European city in the middle of America. In Old Market, you can find Sushi, Tex-Mex, Italian, and Seafood. It also houses several breweries to get your drink on. It reminds me of the French Quarter or Georgetown in DC. It’s where the cool kids in Omaha hang out. Grand Forks, North Dakota isn’t just a college town on the Red River. The city has a rich history and a cultural awareness. Never mind that it’s cold most of the year; the city has a lot to offer. This is the place where you go for down home, American style food. 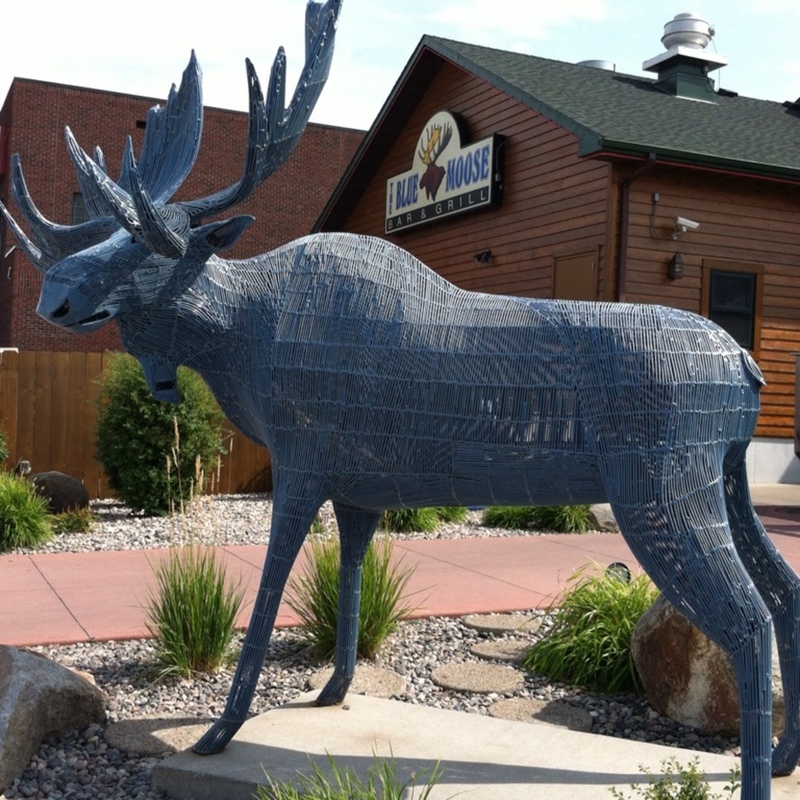 I found The Blue Moose Bar & Grill. It just sounds like North Dakota. Inspired by the pioneers of the city, Blue Moose has something for everyone. The menu is massive with dishes like Black & Bleu Balls, The Honey Clucker, and the Supercaliforniaextraordinarilydelicious Burger. I love a menu with a sense of humor. This Michigan town has 100,000 people in it; 60,000 of them are college students at the University of Michigan. Ann Arbor, Michigan is a college town, but it has big city ambition. 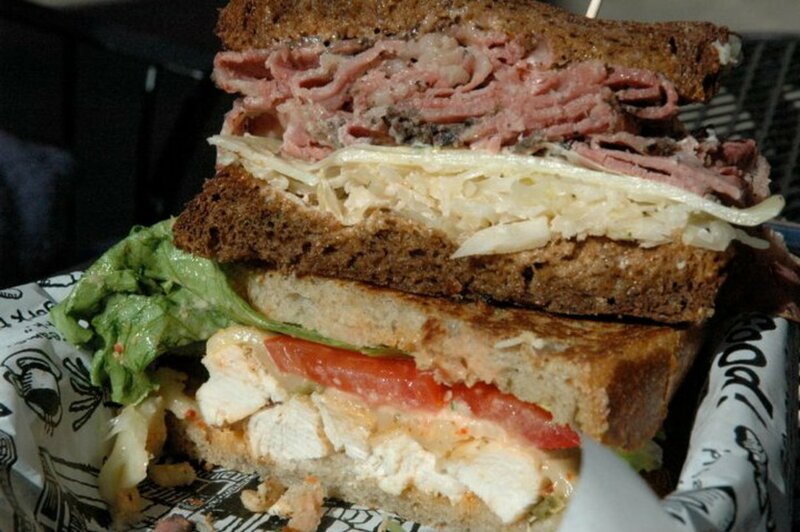 Zingerman’s Delicatessen contributes to the laid-back atmosphere of this Midwest town. The comic-inspired menu adds to the fun atmosphere you are sure to meet at Zingerman’s. Even Oprah Winfrey has been a patron. 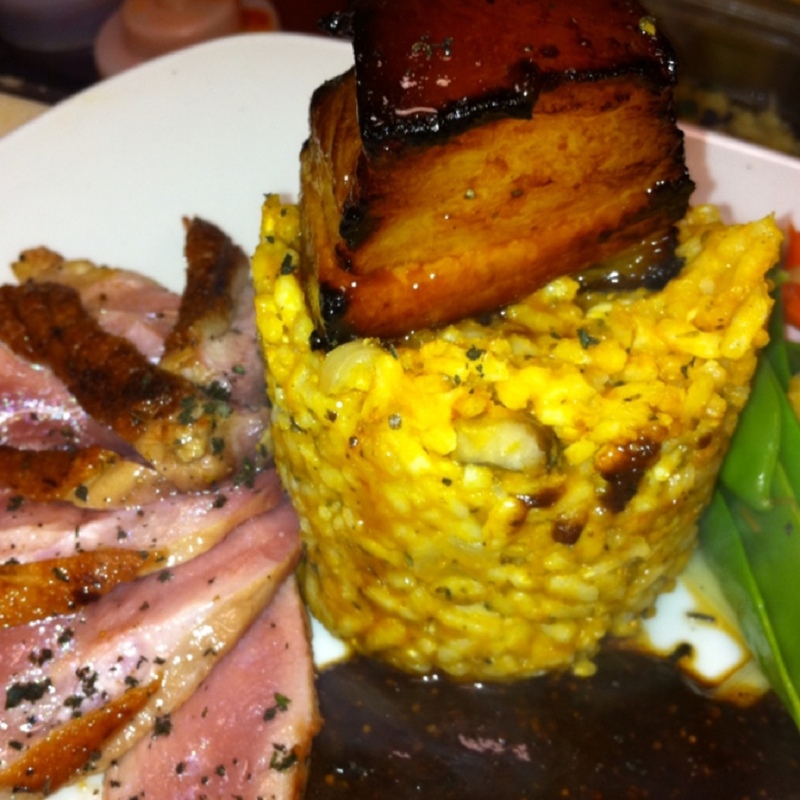 The food is all natural and made in-house with love and care with recipes crafted in the 1300-square-foot restaurant with big flavor. You can’t get more American and Midwest than the hometown of Gerald and Betty Ford, Grand Rapids, Michigan. 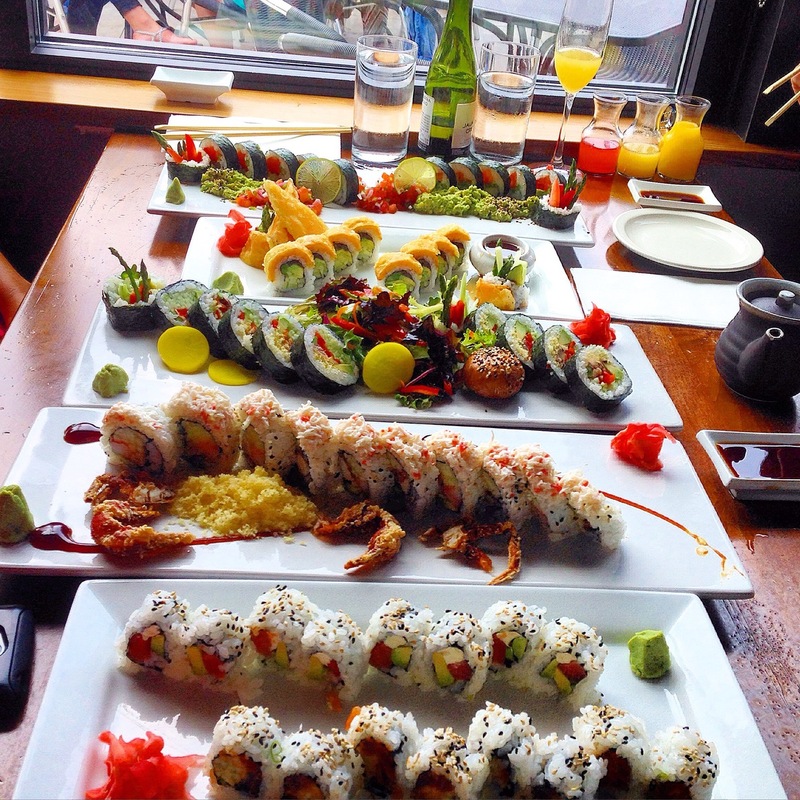 While the president’s favorite food was pot roast, his second favorite might have been sushi from Maru Sushi & Grill. The artistic expression in their sushi is impressive. I’ve had sushi in Tokyo, so I know what I’m talking about. What is your favorite culinary region of America? See, they are starting out young. But, Marvin is right. A great reason to get a tattoo is to express your own personal statement. But, figure out what your personal statement is, first. I wouldn’t suggest you get a chef’s hat tattoo and then discover you can’t boil an egg or worse, getting a ‘Thug Life’ tattooed on your stomach when you grow up on a farm in Wisconsin. My personal statement at the time of my first tattoo was to continue to be the kind of person who was always up for trying new things and having new experiences. I was on a journey to have experiences that altered and heightened my consciousness. I read a book in college by Andrew Weil called The Marriage of the Sun and the Moon. If you haven’t read it, check it out. Some people use drugs and alcohol, some use coffee. There are guys in the mountains of Mexico who eat hot peppers to capture that high, if even for a minute. Andrew’s journey to find the ultimate state took him to the mountains of South America where he witness an eclipse; a marriage of the sun and the moon. That image was my first tattoo. To a certain extent it is still my personal statement. It is why I love to write, why I love to travel, why I love food and why I love getting tattooed. These are experiences that alter my consciousness and are safer then drugs and alcohol. What is your personal statement? Do you think it is tattoo worthy? Spoiler alert, they hurt and they don’t wash off, so you better be sure. If you have a great tattoo story you want to share, let me know and I will feature it on Tattoo Tuesday. I really love food. But, I love it best if others are cooking it. I am also a devoted Top Chef fan and although I thought Season 11 was a little more tricked up then I thought necessary, the right chef one. And, if you have even skimmed my blog, you know that I have a special place in my heart for Chef Michael Voltaggio. With that in mind, I have put together my Restaurant Bucket List. If any you have had the pleasure to experience these restaurants, please share.